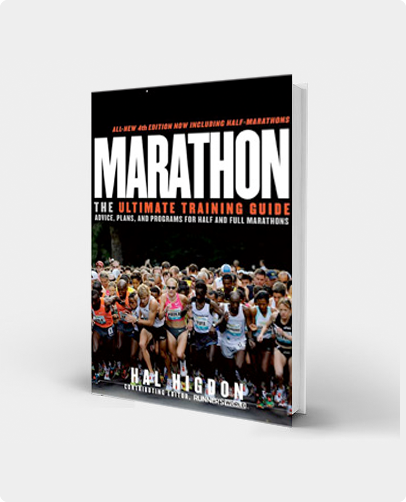 This is Hal's most popular program: the Novice 1 Marathon Training Program. If you are training for your first marathon, this is the training program for you! Even if you are an experienced marathoner, you may choose this as a gentle and low-mileage approach to your favorite sport. 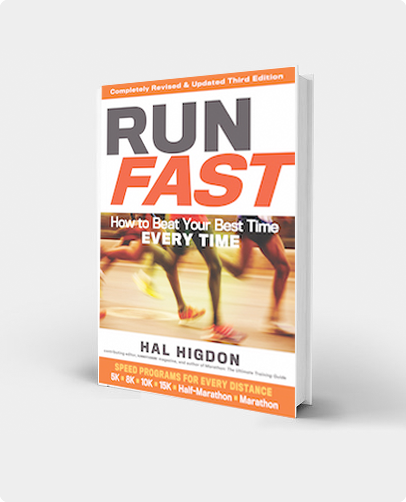 More than a million runners have used Hal's programs with success. Novice 1 will get you to the starting line--and finish line. Here is my Novice 1 Marathon Program, the most popular of all my marathon training programs and, arguably, the most popular training program used by first marathoners anywhere. Is this your first marathon? Have you only begun to run? Novice 1 was designed with you in mind. If you have been running for a year or more and have run a number of races from 5-K to the half marathon, you might want to consider a slight nudge up to Novice 2, although many experienced runners also favor Novice 1, because of the (relatively) gentle way it prepares you to run 26 miles 385 yards. Let me explain some of the workouts you will run during the 18 weeks of Novice 1. More detailed training instructions sent to you in daily emails are available if you sign up for the interactive version of Novice 1, available from TrainingPeaks. I also have a Novice 1 app. Long Runs: The key to the program is the long runs on weekends, which build from 6 miles in Week 1 to 20 miles in the climactic Week 15. (After that, you taper 3 weeks to get ready for the marathon.) You can skip an occasional workout, but do not cheat on the long runs. Notice that although the weekly long runs get progressively longer, every third week is a “stepback” week, where we reduce mileage to allow you to gather strength for the next push upward. Rest: Novice 1 marathoners rest on Mondays and rest again on Fridays. This is both to recover after the weekend long runs and to gather energy before them. Scientists suggest that it is during the rest period (the 24 to 72 hours between hard bouts of exercise) that the muscles actually regenerate and get stronger. Coaches also will tell you that you can’t run hard unless you are well rested. And it is hard running (such as the long run) that allows you to improve. The secret to success in any training program is consistency, so as long as you are consistent with your training during the full 18 weeks of the program, you can afford–and may benefit from–extra rest. 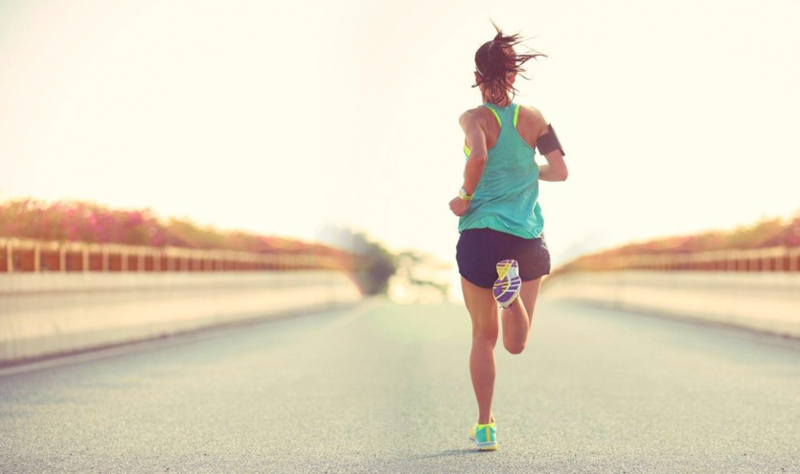 Run Slow: Normally I recommend that runners do their long runs anywhere from 30 to 90 seconds or more per mile slower than their marathon pace. The problem with offering this advice to first-time novice runners, however, is that you probably don’t know what your marathon pace is, because you’ve never run a marathon before! Don’t worry. Simply do your long runs at a comfortable pace, one that allows you to converse with your training partners. As far as I’m concerned, there is no such thing as “too slow.” The important point is that you cover the prescribed distance; how fast you cover it doesn’t matter. Walking: Don’t be embarrassed to take walking breaks. Walking is a perfectly acceptable strategy in trying to finish a marathon. It works during training runs too. While some coaches recommend walking 1 minute out of every 10, or walking 30 seconds then running 30 seconds before walking again, I suggest that marathon runners walk when they come to an aid station. Here’s why: you can drink more easily while walking as opposed to running, It’s a good idea to follow this strategy in training as well. Walking gives your body a chance to rest, and you’ll be able to continue running more comfortably. It’s best to walk when you want to, not when your (fatigued) body forces you too. Cross-Training: Sundays in the Novice 1 training program are devoted to cross-training. What is cross-training? It is any form of aerobic exercise that allows you to use slightly different muscles while resting (usually) after your long run. In the Novice 1 program, we run long on Saturdays and cross-train on Sundays, although it certainly is possible to reverse that order. The best cross-training exercises are swimming, cycling or even walking. Activities requiring sudden or sideways movements are not always a good choice. You don’t need to cross-train the same each weekend. And you could even combine two or more exercises: walking and easy jogging or swimming and riding an exercise bike in a health club. Strength Training: A frequently asked question is: “Should I add strength training to my marathon program?” If you have to ask, you probably should not. I strongly endorse strength training for maximum fitness and long life, but if you never have pumped iron before, now is probably not the time to start. Wait until after you have some bling around your neck. If you already hang out at the gym, Tuesdays and Thursdays work well for strength training–after you finish your short runs on those days. Midweek Training: Training during the week should be done at a comparatively easy pace. As the weekend mileage builds, the weekday mileage also builds. Add up the numbers, and you’ll see that you run roughly the same mileage during the week as you do during long runs on the weekends. Midweek workouts on Wednesdays build from 3 to 10 miles. (I call these my Sorta-Long Runs.) There are similar slight advances on Tuesdays and Thursdays although they are planned as “easy” days. Races: Normally, I don’t prescribe races–or at least too many races–for first-time marathoners. Races can get in the way, particularly if you taper before a race and need extra recovery afterwards. But some racing is convenient, because it introduces newcomers to the racing experience. I suggest you consider doing a half marathon in Week 8, a week when in the normal progression you might do 13 miles as your long run. No half marathon in your neighborhood that week? You can juggle the training schedule to match the local racing calendar. One advantage of doing a half is that afterwards, you can use one of the pace calculators available on the Internet (best is by Greg McMillan) to predict your marathon pace and finish. I started running at the age of 36, and had actually only been running for 7 months when I completed my first half marathon. I decided I wanted to train for a full, and used Hal’s Novice 1 plan. This plan was perfect my lifestyle and schedule, totally doable. Following it helped me build mileage gradually, avoiding injuries, and I finished my first marathon in 4 hours 17 minutes. I have now run 3 marathons using this same plan, I love it and recommend it to everyone. t did not occur to me to register for another marathon within a few weeks of the one that I missed – so instead I decided to run 26.2 miles six days after my missed race. Watches with GPS were not available at that time so I plotted a route by driving 26.2 miles and then followed that route when I actually ran. I did not keep careful track of time so I don’t know specifically how long it took me to finish – but I DO know I still felt strong and energetic later that day – suggesting that I was well-prepared. The following year, I registered for the same marathon and again used Hals’ novice marathon training plan. As I did with my impromptu marathon, I felt strong throughout my “real” marathon and passed dozens people in the last 6 miles. I have not run a marathon in over ten years but I have run several half marathons since then. I have now graduated to 15K races! Because of my good experience with and trust in Hal’s training programs, I found this site and plan to use Hal’s novice 15K training program for my upcoming race! I used Hal’s Novice 1 training plan for my first marathon. I did the Marine Corps Marathon in DC back in 2017. I finished under 6 hours, which was exactly what I wanted. The plan definitely helped me when I felt down about hurting my knee halfway into training. The rest portion of the plan should definitely not be ignored!! The mileage is great and the plan truly prepares you for a marathon in a relatively short amount of time! I am currently using the Novice 2 plan now to train for the TCS NYC Marathon! Thanks, Hal! I wanted to cross a marathon off of my bucket list, after running a half-marathon (of which I thought I would never even do that!). I used this training program in 2015 to run a full in the fall, all the while training throughout the summer. I ended up injuring myself about a month before the race (pulled a muscle because I did not stretch – highly recommend you stretch before and after runs! ), so I had to stop my training a month before the race. Race day came and my pulled muscle wasn’t bothering me that much, so I figured I already paid for it, might as well give it a go. I ended up running a sub 4-hour marathon, which I was very pleased with. I attribute my stamina and endurance, even taking a month off prior to the race, to this program. A couple of items I didn’t consider after I’ve ran my first marathon – STRETCH! Don’t risk pulling a muscle before race day and have to cut-down on training, or even worse miss the race. And allow ample time to recover AFTER the marathon. I was full of pride, and my girlfriend convinced me to run a half-marathon the weekend after to cross that off of her bucket list. Needless to say, my legs were still aching almost two full weeks after the marathon. I ran the half with her, but it was not a pleasant experience.